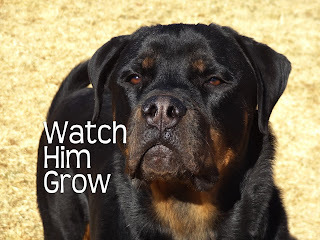 Watch Rottweiler grow from 2 months old to 4 months to 6 months to 8 months to a year. The pictures are taken in the same spot for over a year. He now uses this place as his look out point and loves to watch the people walk by.